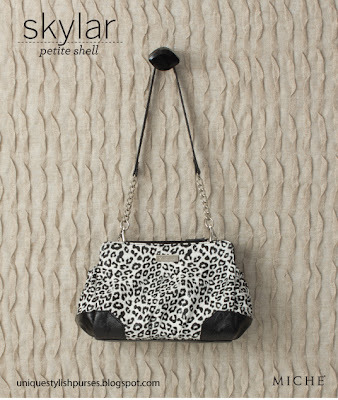 Miche's Skylar Shell will bring out your inner wild woman with its high fashion snow leopard print. Skylar for the Petite Bag with jet black corner details. Skylar is a slip on shell and has side pockets for extra storage!